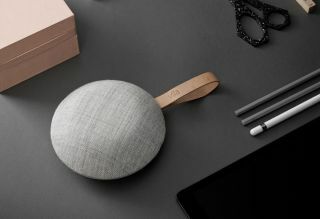 The smallest portable speaker from high-end Danish audio designers Vifa, the Reykjavik manages to fit a surprisingly powerful set of features into a rugged yet small package. Winner of the German-based iF Design Award 2018, the Reykjavik comes with an anodised aluminium chassis or kvadrat wool covering (depending on your colour selection). Inside the device is driven by a pair of 19mm Tweeters and a single 70mm woofer, each using Vifas aluminium cone and neodymium magnets. Also included is a handy leather carrying handle for ease of use and a travel bag to keep your device safe.